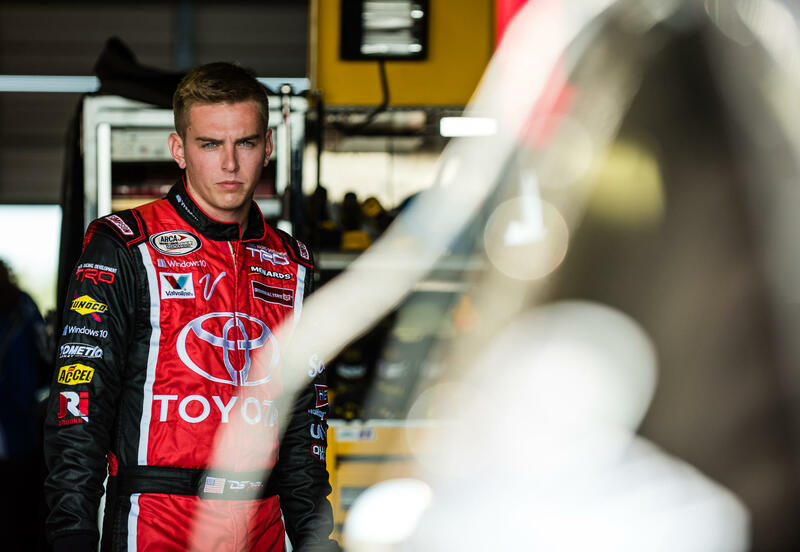 Charlotte, N.C. (May 28, 2016) - Proving to be on point, Dalton Sargeant in the Venturini Motorsports Toyota Racing Development Camry powered by Windows 10 backed up pre-race headlines touting his road course experience as he delivered a podium finish in Saturday’s ARCA Racing Series presented by Menards Twilight 150 at New Jersey Motorsports Park. 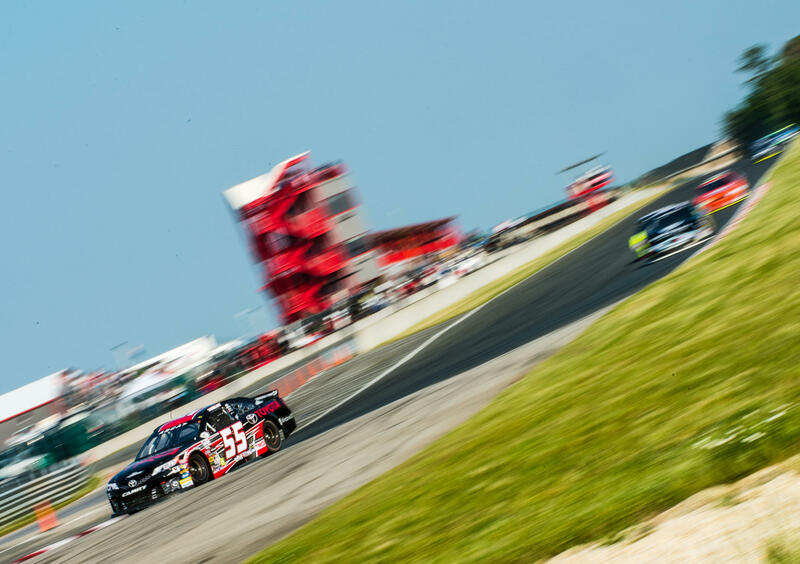 After locking up the second spot in qualifying, Sargeant showcased his talent early applying pressure on the leaders keeping his No.55 within striking distance. Running second on lap-25 to teammate Christopher Bell, Sargeant found trouble in turn 1 when his car slowed with apparent transmission issues. After stalling for several minutes, the car would regain power but not before the field passed Sargeant putting him a lap down and in the 18th position. Sargeant, with confidence and strong desire to recapture his early success, flexed his road racing muscle and flew back up through the field. Regaining his downed lap and breaking back inside the top-10, Sargeant was back in contention. 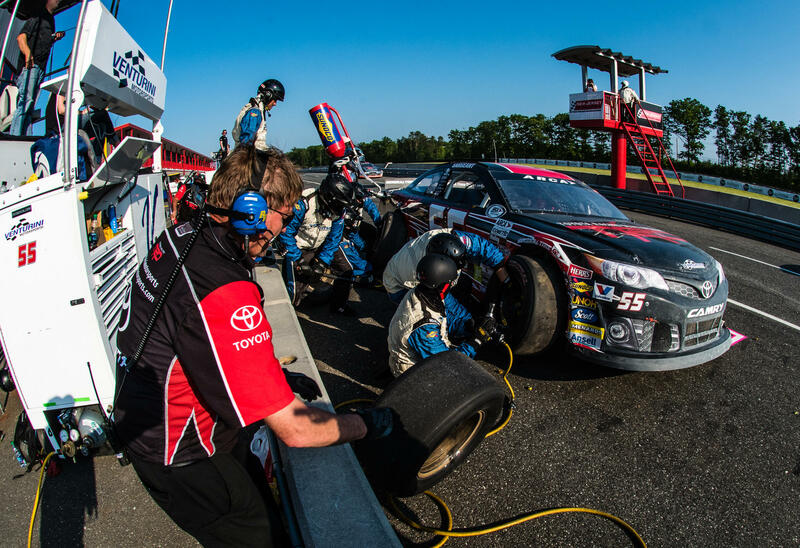 Racing in the seventh position with 16-laps remaining, Sargeant keyed his mic saying, “I’m going to the front. 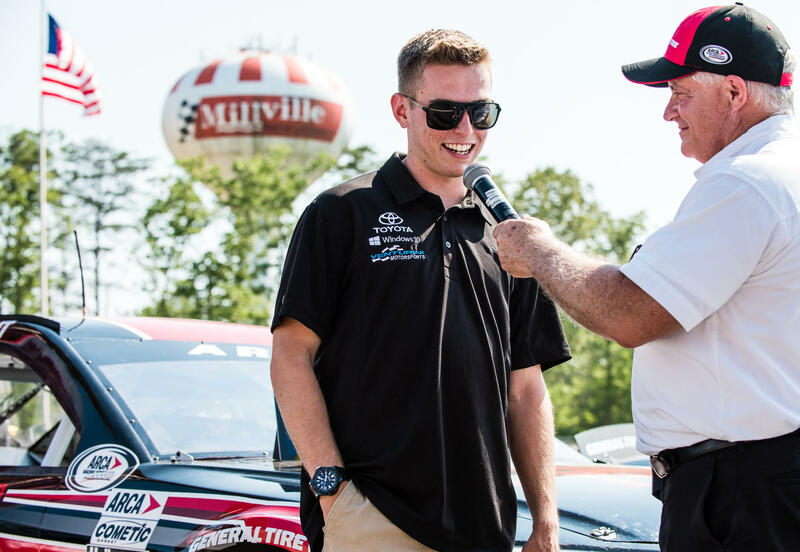 I don’t like it back here.” With renewed determination, the 18-year old clicked off the fastest laps of the day catching the bumper of second place driver, Tom Hessert. 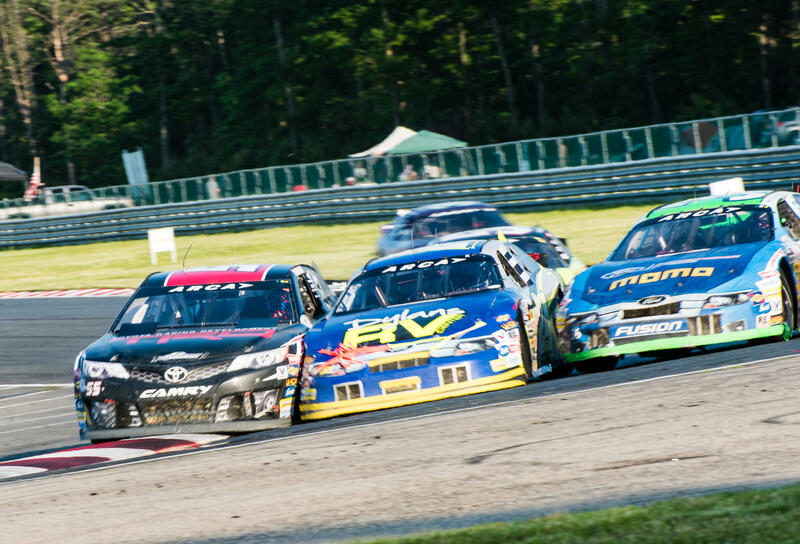 With six laps remaining, Sargeant would pass Hessert, but the two teammates would continue to fight for position, with Hessert ultimately winning out and recapturing second place on the final laps. “I definitely burned my stuff up getting back to the front. I feel we fell off a ledge there at the end, I had nothing left to catch Tommy (Hessert). If we had one more caution at the end maybe I could’ve had a shot – but it didn’t fall into place. I’m so thankful for the opportunity and we continue to get better and better. It was a great day for Venturini Motorsports as our entire team had speed, we keep building and getting better, just haven't put it all together to get to victory lane quite yet."